Top Rated Local® is pleased to announce that Office Sign Company is a 2019 award winner for sign companies in the state of North Dakota! If you are in need of some high quality signage in North Dakota, make sure to check out Office Sign Company in Fargo. Office Sign Company has over 70 ratings on 4 verified sites with an average star rating of 4.82 stars earning them an amazing Rating Score™ of 96.15 and a 2019 Top Rated Local award for being one of the top 10 sign companies in the entire state of North Dakota. “The team at Office Sign Company is the best of the best. Their team is incredibly helpful, offers creative suggestions for signage and products and is willing to work within budgets, They have a good attitude through revisions/changes, and they always produce a high-quality end result that we can be proud of. Plus, their love for Fargo and supporting local is second to none. You’ll love working with the OSC team.” – Annie W.
We took some time to speak with Rylee, public relations coordinator of Office Sign Company, because we wanted to find out exactly how they had built such an impressive business and online reputation. We were also interested in finding out what Office Sign Company focused on as their mission and how they feel like they make their community and the world better place. Rylee told us their mission starts with providing the best possible service at the most affordable rates. The team at Office Sign Company is always working on adapting and improving their mission and making sure it represents their brand the right way. 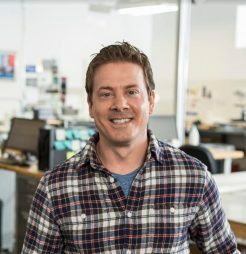 Outside of a strong online reputation, Rylee says that search engine optimization (SEO) is one of the most important investments the company has ever made. Office Sign Company recently celebrated their 10th anniversary and are still growing. Their strong online presence has a lot to do with that. Congratulations to the team at Office Sign Company for being a 2019 Top Rated Local award winner, and thank you so much, Rylee, for taking the time to speak with us! Learn more about this business online today.